Now you can own one of the most important, most beautiful and rarest books in the history of occult studies. 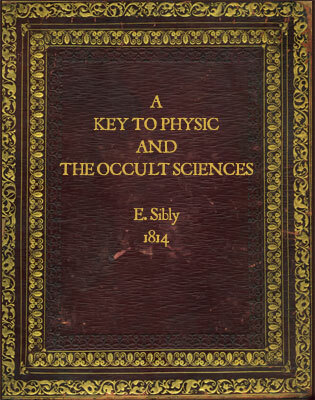 Ebenezer Sibly's A Key to Physic and the Occult Sciences has been out of print for nearly 200 years, but Shoreham House is proud to present, for the first time, a spectacular new edition of the original book in full color facsimile. In advance of publication, we are offering, available immediately, a limited edition of 250 numbered copies in the book's original size and format. 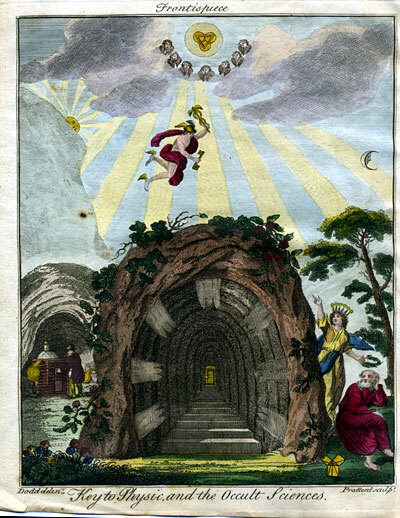 This is an exact copy of the 1814 edition, meticulously scanned, lavishly illustrated with plates and diagrams, many in color. This is a book you will love to hold in your hands and share with your friends. A Key to Physic and the Occult Sciences provides a fascinating and comprehensive journey through the subject, guided by one of the founding philosophers of the modern occult movment. Sibly's book represents the state of Western culture, scientific and occult, as of the end of the 18th century, including many astounding insights that are "forgotten knowledge" today. Sibly's scope includes medicine, healing, herbalism, astrology, horoscopes, mysticism, mesmerism, hypnosis, biology, botany and electrical therapy. His philosophy provides a comprehensive understanding of the universe based on earlier hermetic works brought up-to-date with Enlightenment era scientific discoveries. Copies of this book are nearly impossible to find. We obtained one over 40 years ago from an antiquarian bookseller and have meticulously preserved it in anticipation of creating this facsimile edition. Only in recent years has technology developed to the point where we can offer an affordable edition of this masterpiece. We have individually scanned every page and assembled them into this deluxe hardcover book which exactly duplicates our copy, including minor age spots and wrinkles. This is a book you will find compelling to read. Its importance is confirmed by the 2012 publication by Cambridge University Press in a black & white paperback edition. Ours is a beautiful full-color exact facsimile you will be proud to own and to show your friends. We are offering this limited edition with a no-questions-asked seven-day guarantee. Return it to us within 7 days of receipt and we will refund your purchase. Sibly, E., A Key to Physic and the Occult Sciences, 2012 Numbered limited edition of 250 copies. 430 pp, 13 full-page illustrations (6 in color), plus other tables and diagrams. Casewrap hardcover. All pages in full color facsimile of the 1814 edition. The actual book is printed in full resolution. Contact us to add your name to our list to be contacted upon publication of the regular edition in the spring of 2013. We will not use your information for any other purpose.